This is the first of our listener book reviews. Let us know what you think! I’m only half-way through this title to date as we are moving house (again!!) and I spend most of my spare time boxing and gaffa-taping everything within sight. However, from first read this book can be likened to Homo Deus through an educational lens. I’ve enjoyed the catalyst to further reading the book provides so far. (Many of our book reviewers suggested Rose Luckin’s book Machine Learning and Human Intelligence as essential reading in this area.) Thank you to Sir Anthony Seldon, co-author Oladimeji Abidoye and team, and our book reviewers. 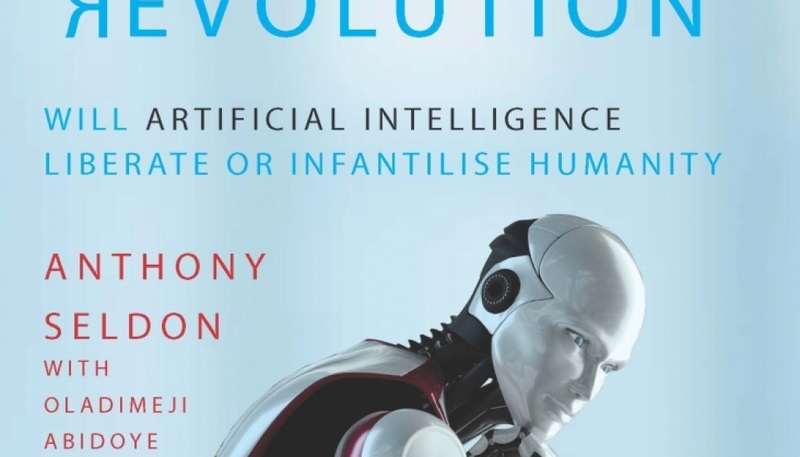 The Fourth Education Revolution: Will Artificial Intelligence Liberate or Infantilise Humanity by Anthony Seldon (with Oladimeji Abidoye) is such an exhaustive and complete work that it could use a reader’s guide of sorts. This review endeavours to provide one. First, if you are someone whose only experience with the formal education system in this country is that you or someone in your family went to school and/or university, and you want to learn more about artificial intelligence (AI) in education, this is the book for you. It begins by providing a thorough, engaging and easy-to-read history of education, as well as a description of many aspects of teaching, learning and intelligence. The book continues with a similarly exhaustive description of AI, including its history (Chapter 5), the state of AI in the United States and United Kingdom (Chapter 6). If (like me), you work in education in some capacity and are just a novice in the field of AI and its possible impacts on education, you can skip ahead to these chapters. If you are familiar with both the field of education and AI and are looking for the meat of the discussion, start with Chapter 7, which finally gets into the topic advertised by the title of the book. If you are schools focused, Chapter 7 is for you, while if your interest is higher education, Chapter 8 covers the university sector. 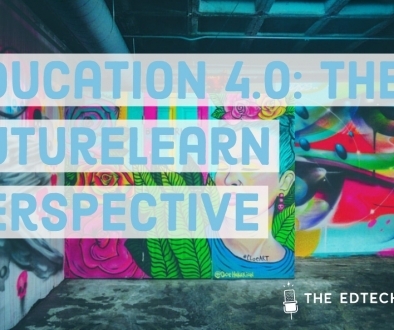 The remaining two chapters both discuss the possible benefits and risks of this Fourth Education Revolution, although each chapter approaches the topic differently and is worth reading. I have spent my career working in the schools sector, so Chapters 7 and 9 held the most interest for me. There were some bold statements about the changes AI could make to the schools sector, which were later countered by possible risks in each of these areas. I don’t want to spoil the reading for anyone, but the discussion of social mobility provides a good illustration of the arguments made in this book. According to the book, AI has the power to remove some of the barriers to a quality education that exist for some students in the form of access to quality teachers and overwhelming class sizes. AI technology can eliminate the need for a physical classroom at all, providing wider access to quality teachers remotely for all students. Its systems can also deliver comprehensive personalised learning in any subject for all students. Conversely, there is a risk that AI technology might be available first to learners who come from families with higher socio-economic background and can afford such cutting-edge technology. This would thus widen the gap between haves and have nots and could increase the social mobility problem that exists in our current schooling system. I found myself wishing that less time had been spent on the history and background in Chapters 1-4 so that more time could be spent discussing how the authors envisioned these broad changes would happen, especially in the schools sector. 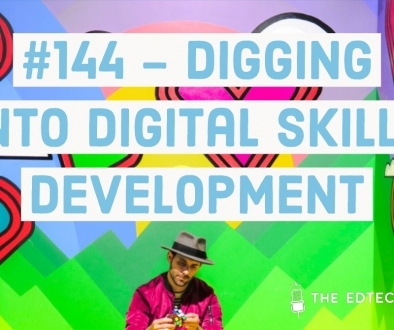 At one point the authors noted that schools would have to change quickly in order to keep up with the fourth education revolution, but being agile and accepting of change isn’t something schools are known for. If I’m a head teacher reading this book, what should I do to make sure my learners aren’t being left behind? The book is a bit strange, it veers off a bit in the later chapters to discuss broader implication of the use of AI in Society. It neither fully addresses all the issues raised around technology and education, nor does it properly address the other elements. It barely touches on what I think is one of the most crucial debates and was annoyingly missed in the House of Lords AI report, the ethics of AI use in education. There’s a lot of we’ll talk more about this later but no indication of when that will be, and a number of irritating typos throughout the text. Many of the chapters feel too long, they meander and drift away from their opening premise. I also found it the textual equivalent of a US TV programme, constantly repeating itself and adding only a little new information before taking another break. It was an interesting premise but failed to deliver. 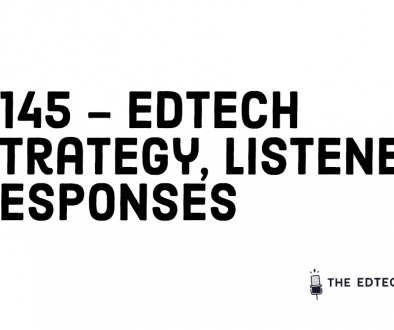 As someone has studies AI, taught and works in Ed Tech I particularly struggled with Chapters 5 & 6, its’ as if someone who doesn’t really know or understand the technology wrote them. The early chapters about the history of education are good but struggled with the rest. There are better discussions of AI such as Prof Murray Shanahan’s The Technological Singularity (https://mitpress.mit.edu/books/technological-singularity) and about technology and education such The Textbook and The Lecture (https://jhupbooks.press.jhu.edu/title/textbook-and-lecture). During the first half of the book, I found myself nodding profusely as Seldon describes education as the Cinderella story of AI and discusses issues with the first three education revolutions in detail. In particular, even in the latest revolution, students are taught by age group rather than ability or their interests and teachers are still weighed down by the burden of administration despite the introduction of computers in the classroom; very little has been done to reduce the amount of repetitive tasks teachers endure. The first third of the book focuses on the history and purpose of education. He discusses how intelligence is defined and debates that there is much more to intelligence than the ability to recite facts and figures and relies on a person being well rounded with empathy and strong emotional skills with a healthy EQ (Emotional quotient). He points out that lecturing at University level hasn’t changed in 700 years as it still uses a one-way method of communication where the pace is set by the lecturer and the students aren’t taken into consideration. Therefore, throughout the book, you start to see how AI can help with some of these issues from flexible and personalised learning, aiding to the reduction of teacher workload and defeating social immobility. The middle of the book focuses on describing “what artificial intelligence is” and providing readers with a brief history from Babbage to Turing. He discusses how AI is already changing the education scene with the introduction of Silicon Valley schools of the future (e.g. Alt Schools), the work Zzish is doing with the government and the results of the Jill Watson study. The final third of the book takes a slight spiritually turn, discussing immortality and higher beings. Unfortunately, I found this section a little rushed and final considerations seemed to be based more on Seldon’s personal opinion and film history than research. Although we can’t predict the future, it would have been nice to hear more detail around AI advancements (e.g. Furhat robotics) and how they have made strides towards a newer world. That being said, the book was engaging, thought-provoking and has inspired me to continue personal research into AI in education.